Greek food for your next event? Whether its a sit down formal dinner or a standing up reception try out our fresh seafood and local meat. Our most popular items can be prepared party sized portions to accommodate all types of events. 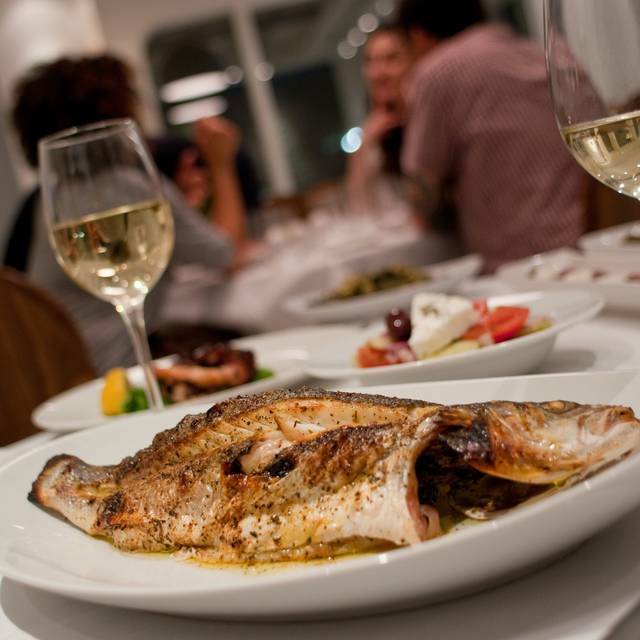 A fine-dining Mediterranean restaurant that couples the freshness of traditional Greek cuisine with a modern white-washed atmosphere. The walls are adorned with old black and white photos of Greece, a nod to our namesake, which is the origin of “nostalgia.” Our healthy menu has guaranteed returning customers and consists of daily fresh fish, popular lamb dishes, and several vegetarian selections. 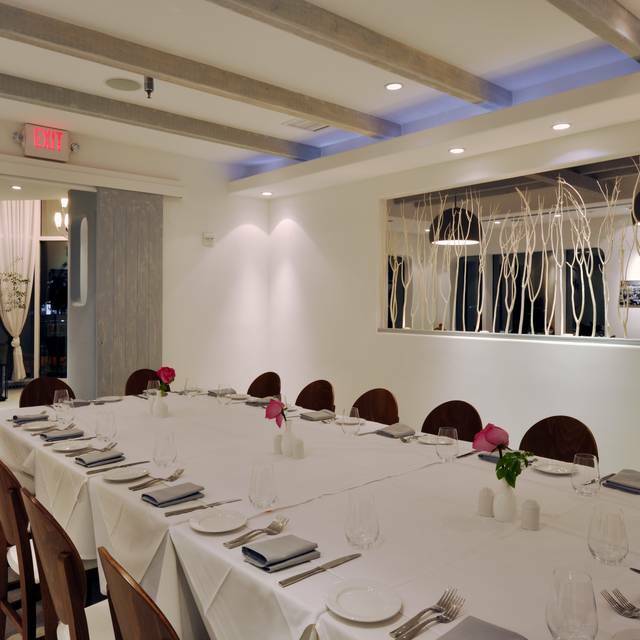 The Aegean-inspired airy ambiance makes Nostos a romantic choice for a date night; while our private room options make it ideal for special parties or corporate events. But atmosphere not the romantic song it used to be. Two large groups in main dining area who didn't seem concerned that other dinners might want the intimate dining experience they expected. Felt like I was in a loud, informal pub not the high - end restaurant I knew from before. 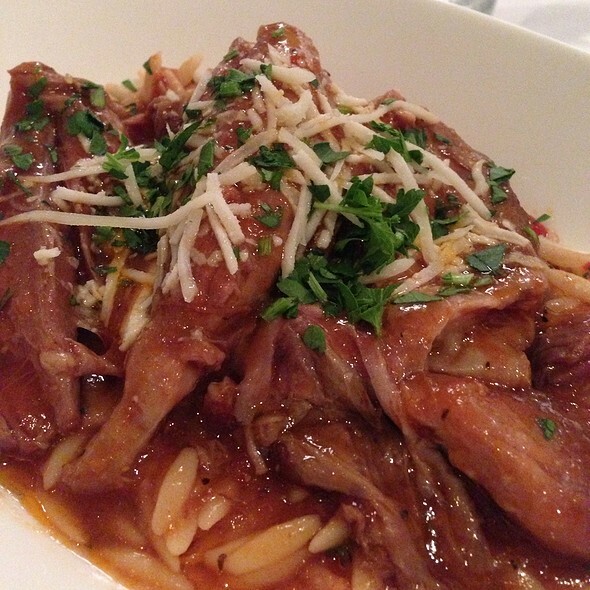 The Food is Delicious and Service is Really Excellent! 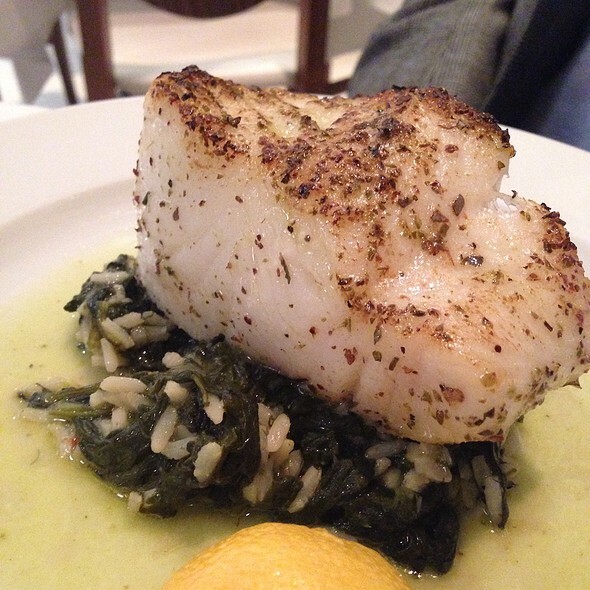 Nostos has it all, charming ambiance, delicious food, and excellent customer service. I would highly recommend this restaurant!!! We love Nostos and are never disappointed. It is a little pricey but it is well worth it. Make reservations because it is always full. The various tapas dishes are great. This night we had the special of goat and it was FANTASTIC! Amazing. Our family always spoke about eating goat both in their homeland of Italy and when young in the early days of 1900 in Ohio. It was really well done, better by far I am sure than our family's recipe! The swordfish skewer was also just fantastic. Authentic. Well presented and yummy. We also enjoy their wine list. Nice selection with some reasonably priced wines (esp. for this area). We will be back to Nostos. Enjoy! We love the half chicken and the wine! Excellent! Angela took care of our seating in the front room. She is so gracious! Outstanding food. Clean and fresh balanced and creative. Worth every penny. Highly recommend. Being Greek, I like Greek food! Thus I have had Greek food at many restaurants, sometimes great, others not so much. At NOSTOS, the food was not just great, it was excellent. there is only one word that's fitting: Keep it up NOSTOS! Highly recommended for both casual and special occasions. others had other dishes, equally great! Very attentive service and excellent food. Nice to find a restaurant where conversation is easy. Wonderful food and quaint atmosphere. Helpful servers and kind host. Great Restaurant and authentic Greek food. Warm atmosphere and attentive staff. Everything as perfect, especially the grilled shrimp! The grilled octopus was also fantastic, as well as the grilled fish. 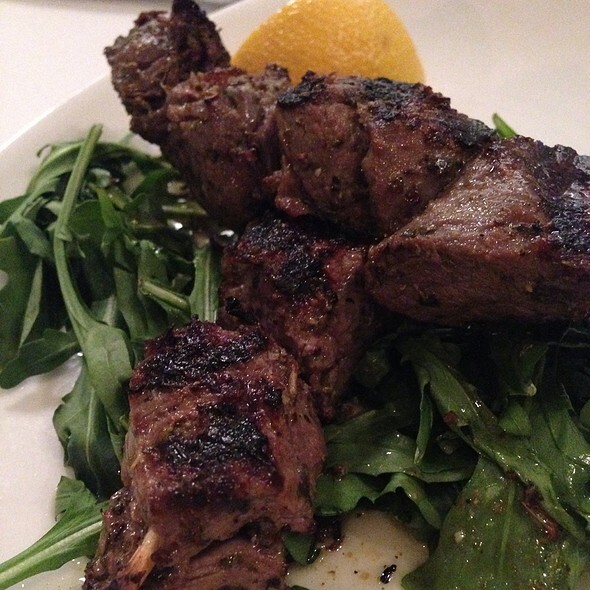 My father had the grilled lamb chops and they were very juicy, tasty and tender. The only thing was that the traditional Greek salad was kind of small, but this is an upper scale Greek restaurant, so that was to be expected. Great drinks with the large ice cubes in the glasses. Hard to find, so make sure you use the GPS. Your food is wonderful but the noise level is way too loud - very hard to carry on a conversation. Great venue for a small plates sharing meal to try many of the variety of flavors offered. 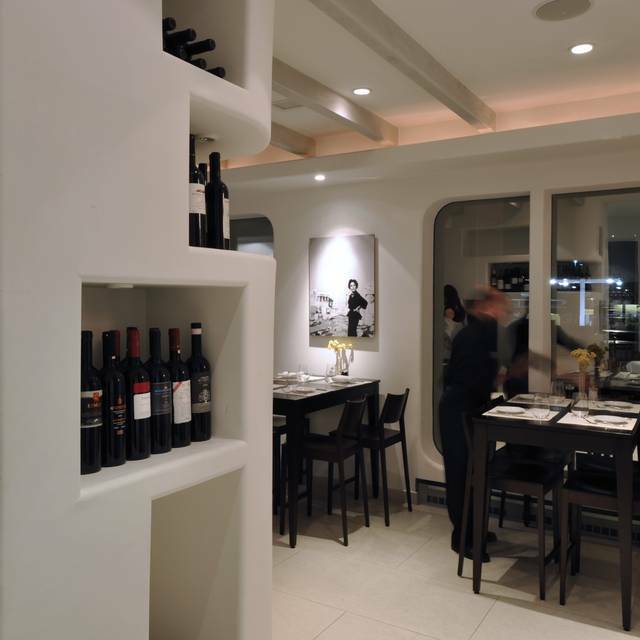 Nostos was a great experience - the food was incredible and the service was outstanding. 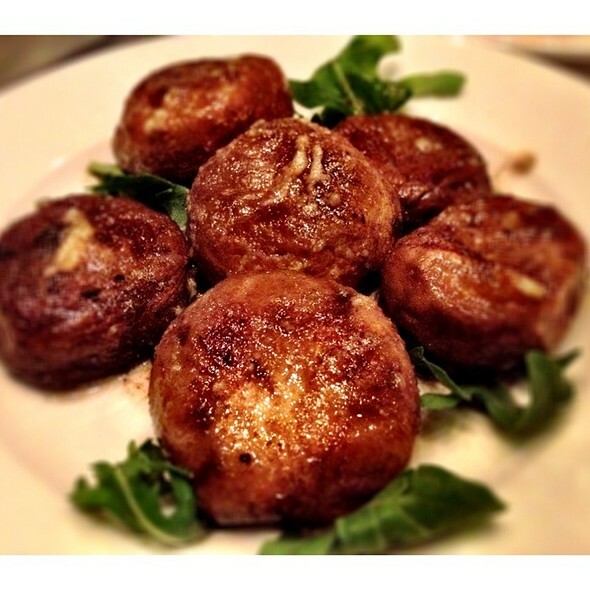 The staff made great recommendations for appetizers to share, for wine, and for vegetarian options as well. One of the best dining experiences we’ve had in the area. Food was very good, lamp was cooked perfectly. Other dishes and appetizers were great as well. Good size servings and very attentive staff. Only surprise was you get an 8oz (not 12) opened bottle of soda for 4 dollars each, and no free refills. The overall meal was a little pricey for an average night just to eat out, but normal for a nice evening out like a birthday or anniversary. Great specials, outstanding service and fantastic wine recommendations by Angela. The Branzino was fresh, beautifully grilled and filleted tableside. 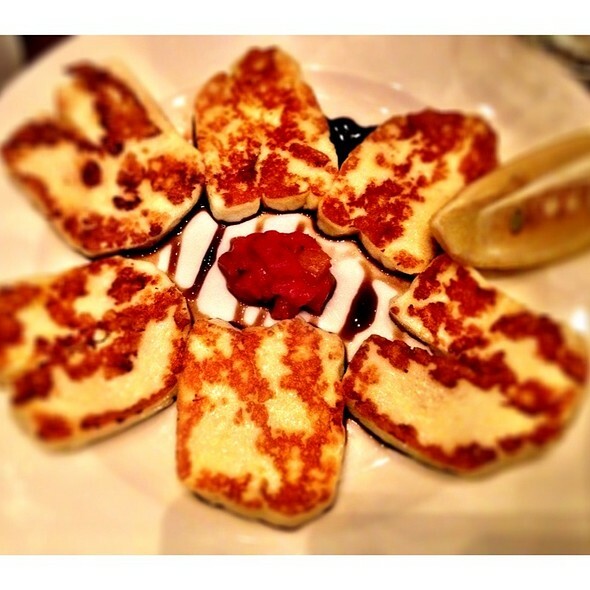 Our tabled especially enjoyed the flaming Kasseri cheese as an appetizer. Service was attentive and warm. The wine list was expensive for many of the selections. There was poor ambience due to noise level in the room. This was particularly due to a large table of diners who were oblivious to the amount of noise they were making. Our table of four could barely hear one another! Lovely place for lunch but not for a relaxing dinner. The noise level was so high that it definitely distracted from the overall experience. We were a party of 4. All of the other members of our group remarked on how much they enjoyed their meals. However, I had ordered a fish dish that was very undercooked. Parts of the fish were completely raw and inedible. I normally would have called this to the attention of the server but we were celebrating a birthday and I didn’t want to disrupt our meal. I think it’s somewhat unfair to criticize since I didn’t give Nostos a chance to correct the problem but I was so disappointed in my food that I feel that I have to include my observations in my food rating. We were pleasantly surprised by the quality of this restaurant. Food, service and atmosphere. Maybe because we were there for early dinner (5:30-6:30), it was not loud which good restaurants tend to be sat dinner time. We’re definitely coming back. Wonderful lunch with lamb ribs saganaki and kolokithakia followed by wonderful entrees and crumbled baklava. Greek coffee (yum) and great service. What more could u ask for???? My first time here. Food was very good and the wait staff was amazing. I would go again. The food is great. The service is terrific, the environment is Greek themed. What's not to love? I recommend Nostos to anyone and everyone who appreciates high-quality Greek Food. Authentic Greek cuisine is fantastic. Service is very good and staff is very positive. Great value. Delicious meal. Excellent service. Dining room very noisy. Great evening. Food and service were great. We were in the smaller room as you entered and the noise level in that room is very comfortable. No drink menu because bartender has no talent at making good cocktails. Friend's lemon drop (how hard is it to muddle some fresh lemon) was hideous with no flavor because there was no lemon juice. If they used limoncello, they used one with no flavor, bizarre. My martini also lacked flavor. Rock fish not prepared as requested (well done). Pita was good but their fresh take on hummus an enormous fail, they should just use garbanzo instead of fava beans. Salad was really good but we hated their version of babaganou and their white beans needed more lemon, some salt and to be cooked a little longer to make the texture not so hard. Because they weren't cooked long enough, the dish was pretty with no broken beans. Way too expensive for the amount and flavor of food we ordered. We were there for dinner on a Saturday. I would think they would have the best cook and bartender on that night. Super dissatisfied and disappointed overall. Only glad we went so I dont have to wonder what I might be missing. The server was nice and the place pretty. Wowzers! 4 stars Plus. Great Fun all around, so we’ll be back soonest possible. Excellent kitchen and friendly staff. We arrived early for a 5:45PM din-din res, and were whisked to our waiting table after checking our coats. Server Gerry was helpful and quick with recommendations. We opted for a blend of traditional items plus some unfamiliar and exciting stuff. The star of our array of delicious small plates was the Feta Saganaki - a counter-intuitive but perfectly balanced fried Feta with a toasty-crunchy outside plus almonds and honey. The fishy-wishy main-dishy special Tsipoura - sautéed Dorado, a close relative of Mahi-Mahi, was DEE-liscious, and Gerry did a superb table-side de-boning job. 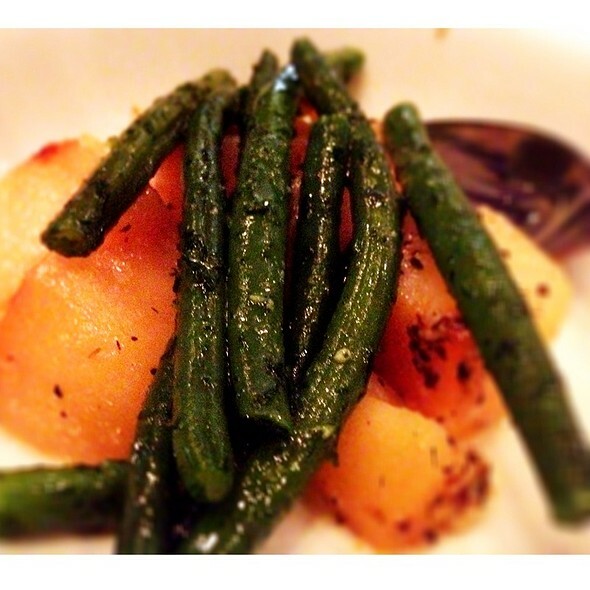 I was grateful that the roasted potato and broccolini sides were served HOT- the kitchen pays attention to details. My sweetie opted for the Mussaka, which hewed to tradition, tasting on the sweet side of savory thanks to cinnamon - with a near perfect béchamel. Don’t skip the house-made Baklava for dessert. Feeling adventurous, and looking for something NEW, I finished the meal with the Skinos Mastiha liqueur. WooHOO, no more Ouzo for this puppie! I gots a new favourite ethnic-Greek booze... had to avoid exhaling near open flames for a coupla hours. perfectly filleted whole dorade. Best greek salad ever!! !